Browsing articles tagged with "Windows 8 Archives - Page 6 of 8 - Tip and Trick"
With Windows 8.1 released, there are plenty of new shortcuts, options, and tricks built into the operating system. Microsoft has added few options inside Win+X Menu (also known as “Quick Access Menu”). Win+X menu in is a shortcut to terrifically handy power user settings and tools, including the command prompt, task manager, control panel, etc. It can be accessed by right-click on the bottom-left corner of screen or press Win+X keys. One major lasting impression of Windows 8.1 by Microsoft is added back Start button which is modified version and totally different with previous version. The Start button is obviously the main attraction for many users. By click Start button, it will simply take users to Start menu instead pop up menu. There are few ways to bypass Start Screen in Windows 8 startup such as adding Show Desktop shortcut, scheduling automatic boot into Desktop using Task Scheduler, etc. Boot to desktop option has been one of the popular terms when Microsoft introduced Windows 8.1 Preview with Start button features. As usual, Microsoft’s new operating systems will startup Windows to the Start Screen by default. With Boot to desktop option, it helps setting Windows skip the Start Screen in startup and boot straight to the Desktop. Microsoft CEO Steve Ballmer announced the next version of windows 8.1 preview at its annual build developer’s conference. 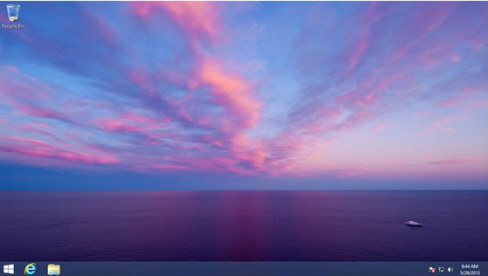 Windows 8.1 improve the user experience by returns with start button, but it only flings you into the Start Screen. In addition, it also enhanced multitasking, universal search, virtual keyboard and gestures improvements. Windows Aero user interface in Windows 7 is one of the main amazing features of Windows 7 such as Aero Glass, however with new Windows 8, Microsoft has added a new theme “Aero Lite” which is considered as a replacement for existing “Windows Basic” theme. Aero Lite theme is enabled by default in computer systems which don’t support Aero interface. It’s possible to simply store media files on an SD card or USB drive for modern Windows 8 apps such as Xbox Music, Xbox Video, and photo in order to prevent and forbid computer user from using USB removable flash drive or mass storage device to copy and transfer data and files. Although, nowadays everyone using cloud to storage, but for security purpose most of users still with extensive collections of media stored locally on computers. User Account Control (UAC) is a feature in Windows 8 that can prevents unauthorized changes of the computer by informing users when a program makes a change that requires administrator-level permission. The user interface of User Account Control (UAC) settings in Windows 8 has changed to let users more easily access, more user control, and more user friendlier approach. In Windows 8, the UAC has a slider bar which allows users to configure and select which level of notification (and hence protection against unauthorized and malicious access) they want. If you do not want this features then you can disable the UAC, but the wording ‘disable’ or ‘turn off’ is no longer available. 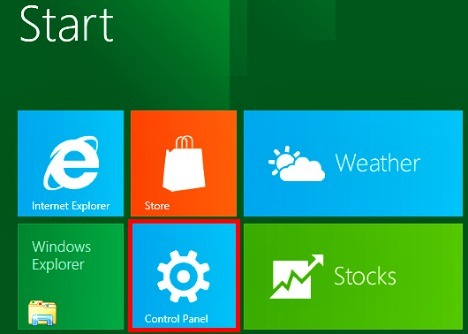 Here how to disable the User Account Control in Windows 8. Are your locked out of windows? What should you do when you forgot the password to login to Windows system? Ask an administrator to reset the log on password for you. If you yourself are administrator, and you can’t remember the administrator password, the problems get a little tricky, and probably hard to recover the ‘forgotten password’ again. Before you search for recovery CD or Windows DVD to format and reinstall Windows onto the computer, here a few ways you can try to unlock the Windows to gain access to the system again, at least by resetting the password.